Tag Archive | "education tax credits"
Did You Receive A 1098T? Not Sure What To Do? Here Is Some Help! The big questions at work this time of year are: “When are you sending 1098T forms?” and the follow up “You filled out the wrong box”. Colleges and Universities are required to file the Forms 1098-T, but the rules on what they have to include do not necessarily mesh with filling out your taxes, especially if you or your tax program don’t know how to interpret them. That form can be the information that helps claim a big tax credit; or, often missed, it could be the information about scholarships that have to be claimed as income. Who claims what and where? The Form 1098T was created by the IRS after the initial education tax credits were passed into law, the Hope (now American Opportunity) and Lifetime Learning credits. There are more than just these two, but that is what started it all. The problem is, colleges and universities aren’t necessarily set up to easily provide or interpret the payment information as the law reads, so the IRS allowed them an out. The result is two boxes on the form – the one you need and the one the colleges complete. Box 1 is Payments Received for Qualified Tuition and Related Expenses. This box would generally be what you need to claim the credit, simple and done. But the systems at colleges aren’t set up to easily calculate this. Variables that they don’t track include who made the payments and whether the payment was specifically for tuition or room or something else. For this reason, the IRS allowed them to complete Box 2, Amounts Billed for Qualified Tuition and Related Expenses. So what to do? Well the information may still be on the form, you just need to do some math and check against your statements. Also included in the form is Box 5, Scholarships or Grants. This box is important for two reasons: it can help calculate how much is eligible for the credit; but often missed, it can also indicate that some of those scholarships are taxable. Let’s first look at calculating the credit. If your college is like the vast majority, they report on Box 2. So to get a start on what is eligible for the credit, the first step is to subtract Box 5 from Box 2. Why? Scholarships are generally applied to tuition. Also, they are only tax free to the extent that they are applied to tuition (and related expenses). I have more on when they aren’t below. So, if the scholarship is paying tuition, then you did not, which makes you not eligible for the credit. Unfortunately, doing this math is not necessarily the end. Because the information on the 1098T, through quirks in the law, is not necessarily all related to the tax year in question. It’s close. But Box 2 is what was billed during the year. Colleges bill for their spring or first calendar year term usually in late November or early December. This allows taxpayers to do some planning, but makes it confusing. On the planning end, the bill isn’t usually due until January, so you can decide which tax year works best by paying in either December or January. The confusion is, what did you pay? It is not always simple. For some, the information on the 1098T is all that is needed. For others, the best way is to pull out the statements from the college or request one. Things to remember: all payments you made count, including payments on credit cards and student loans (see below). Unfortunately, this whole confusion sends many to a tax advisor. If you are unsure, having one help, at least the first time through, may not be a bad idea. Some will go through the calculations above, either the simple or complex, and realize that they had enough scholarship and grant aid to not only cover tuition, but also some that pays for room and board. First comment is great! That means you earned quite a bit of free money for school. It does also mean that some of it is taxable. Scholarships or grants that exceed qualified tuition and related expenses are taxable income to the recipient. The recipient is the student, which does at least mean that the tax rate will be low. You report this income in the same place you report wages. It can even be done on a 1040-EZ. The form should have “SCH” written just to the left of line 7 on your form 1040, 1040A or 1040-EZ. The other problem with relying on Form 1098T, and the information colleges don’t track, is who paid. To qualify for the credit or deduction, you have to have made the payment and the recipient has to be your dependent. Payments by check or credit/debit card are easy for you to track. For loans, look at the borrower. Federal Direct Loans are issued to the student only, so technically not a payment from the parent. If you are a co-signer on a loan, than you likely can count it as a payment. As I stated above, scholarships are taxable to the student. This is a good thing, since students likely have a lower tax rate. Tax credits are taken/reported on Form 8863. The Tuition deduction is on Form 8917. To understand which is right, you can start here. Scholarships are reported on line 7 of Form 1040, 1040A or 1040-EZ. There is usually a place in the tax software for wage income not reported on Form W2. This is the place to input the taxable scholarship. Is it worth it? Absolutely! The tax credits can reduce your tax by up to 100% of what you paid (American Opportunity Credit). Even the other options will reduce your tax by 20% or more of what you paid. More information about the options is available in this article. While it may stink that you have to pay tax on some of your scholarships, it also means you didn’t have to pay for the school. That scholarship is likely being taxed at a rate of 20%. That means 80% was free money! 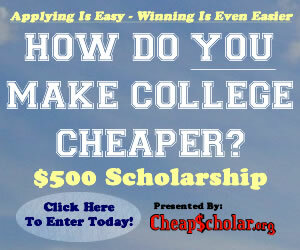 Scholarships are any funds paid to you. They can be the grant award the school provided, a Pell grant or SEOG, State Financial Aid, or those local rotary and foundation scholarships. On the latter, if they were sent to the college or made co-payable, then the college is including them in Box 5 of 1098T. If not, that is up to you. And the IRS has started a project to attempt to review and collect information about how people use these forms. While not an “audit”, it does mean that they will ask some people to validate the numbers they used. The IRS is using Form 1098T as the start of these reviews. That does not mean you should only use Form 1098T. Ultimately you are responsible for what’s in your tax return. As long as you have the support (checks and account statements) to support what you reported, you will be fine. For some this process can be frustrating, but I still believe that effort is worth it. For some, this may mean using a tax preparer. But paying $100 or even more for tax return preparation to save $1,000 still sounds like a good deal. Good luck. This information is provided for general reference. None of the above should be considered as offering specific tax advice. Many individuals will have unique circumstances that require different treatment. You should examine your situation and consult a tax advisor if necessary. Getting a quality education in the U.S. can be quite costly to finance, and this is why the government is offering tax deductions to parents who have dependents in college. Students who are paying for their own college education can also get these tax write offs. Whoever said learning pays must have also thought of the tax deductions students and parents get. The federal tax code has tens of thousands of pages, making it impossible for any one person to know everything about it. Lack of information can lead to inaccurate filing. In fact, many parents and students who file their own returns fail to claim these write offs because they do not know about them. The following are some tips to help taxpayers get all school-related tax deductions. School-related tax deductions are only offered to students who are undertaking their studies in colleges and universities that are accredited by the Department of Education. When signing up for a course, students should ask whether or not the school is an eligible educational institution. A tax deduction is not as useful as a tax credit. The latter is a discount, meaning a certain amount of money is deducted from the tax payable. A deduction reduces the taxable income of an individual before the appropriate tax rate is applied when calculating the amount of tax payable. Taxpayers can claim two tax deductions in a tax season. These are: student loan interest tax deduction (form 1098-E) and the tuition and fees deduction (form 1098-T). They can also claim two tax credits namely, Lifetime Learning Credit and the American Opportunity Credit. Students who have already started paying interest on a qualifying student loan can get up to $2,500 in tax deductions. The cost of tuition and other fees paid to an eligible educational institution can also be deducted from the gross income of the taxpayer. However, this is subject to a maximum of $4,000 annually. This deduction is further reduced to a maximum of $2,000 for students or parents earning up to $80,000 individually or $160,000 jointly. Those who have taxable income exceeding these limits do not qualify for any school-related tax deductions. The American Opportunity Credit was recently extended to 2017. 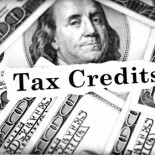 Eligible taxpayers can claim tax credits of up to $2,500 annually. However, only those earning a gross income of less than $80,000 or $160,000 filing individually and jointly respectively may claim this tax credit. It is only applicable to the first four post-secondary education years. On the other hand, the Lifetime Learning Credit gives qualifying taxpayers a tax credit of up to $2,000 every tax season. Taxpayers can claim this credit when they spend money on college tuition and other qualifying expenses. The main advantage of this tax credit is that it does not have the same restrictions as other tax benefits. For instance, there is no limit as to the number of years parents and students may claim this tax credit. School-related tax credits are normally claimed through Form 8863. On the other hand, deductions are claimed through Form 8917. All the tax benefits that are claimed by a student or parent must be indicated on Form 1080 or 1080A. Filling and filing the right forms is important. Taxpayers may find themselves on the wrong side of the law because of a simple error or omission. Therefore, accurate and proper filing of returns is crucial. Those who want to finance their own education, or that of a dependent, should be aware of all the student discounts they can get. These tax benefits can significantly reduce the amount of taxes payable in a given year. Today’s guest article comes from Ryan Ayers. He is a writer who creates informative articles in relation to education. In this article, he offers tax tips to students and aims to encourage further study with a Stetson University Online Accounting Masters Degree. Every year millions of families and students across the nation gather their 1098-T’s (issued by colleges and universities), and utilize them, along with Forms 8863 and 1040, to claim available education tax credits (highlighted in Publication Release 970). These tax credits go a long way in helping families/students to make college affordable. Part of the delay may be caused by the recent overhaul of Form 8863 that is rumored to be an initiative brought on by criticism that many taxpayers were claiming the education tax credits incorrectly. You’ve finished this year’s taxes and filed your FAFSA for aid. Looking at your tax return, the question may pop up – what happens when I can’t claim my new college student? How long can I avoid that anyway? Would they be better being ‘independent’? All good questions to make sure that one is both taking the best advantage of the rules and planning for life changes. General rules to claim a dependent start with whether you are providing at least one-half of their support. That is the first step for exemptions, but there are lots of rules and exceptions (even some people that you are supporting may not qualify!). Are they a student? They should be a student for at least 5 months of the year in question (the tax year). They have to be a qualified relative. Children includes adopted, foster, step children or other descendents (grandchildren). Brothers and sisters can count as well. Students can be claimed as children up to age 24. Those over 24 can still qualify if they have less than $3,700 of gross income and you meet all other tests. They must be classified as ‘single’ on their tax return. Only one person may claim an exemption for anyone, including students. Divorce usually ends up with dependency being decided in the decree. If not, make sure both parents are in agreement on which is claiming the exemption – only one can. The other issue that trips people up is how the student files. Because only one person can claim the student. They should check the box indicating that “someone else can claim you” as an exemption and complete the worksheet. Most students will still end up with either zero taxable income or something much lower than the savings to the parent. I always encourage people to think ahead. When your son or daughter no longer meets the rules above, you’ll be losing an exemption. It is important to think about this at the start of the year and not be caught with an unexpected bill at year end. Remember that exemptions are based on the status at the end of the year, so if your student is 25 on December 31 or otherwise doesn’t meet the criteria above on that date, then they are not eligible to be a dependent for the whole year. The easiest way to adjust for this is by changing the withholding exemptions on the Form W-4. Subtracting one from this number will likely deal with the tax implications. If you are in a situation that involves something more complex or just want to know how much the impact will be, take the current exemption ($3,800 for 2012) times your marginal tax rate. That is the rate at the highest tax bracket you are in. Your tax software usually gives you this on a summary page or you can refer to the federal tax tables. It also never hurts to check the options. It may be that the exemption could work either way. Maybe your student just finished school and started a job. They still meet the criteria above (24 or under at 12/31, lived with you more than half of the year and a student for five months) but now they have a job and want the most tax savings. In these days of tax software it is possible to calculate both returns with and without the exemption and see which combination works best. The example would be that the parent may save $1,140 by claiming the exemption where the impact to the child’s return is only $570 (30% tax bracket vs. a 15% bracket). That is a total savings of almost $600! I’ll leave it up to you how to settle it. Education tax credits play a big role when it comes to college accessibility. The funding available through the government in the form of education tax credits can sometimes make the difference on whether a college student will be continuing their education from one year to the next or be required to enter the work force prematurely. The following infographic shares some great statistical information related to education tax credits. Enjoy! When Does a College Student Need to File a Tax Return? Got a college student? Your life can be complex. Add to that the confusion over whether your student needs to file a tax return and you might need help. Today my guest blogger is a CPA, Carol Topp of TeensAndTaxes.com. Your student received a W-2 and federal income tax was withheld. Look at the W-2 Box 2 Federal income tax withheld. He or she may be due a refund of that money. Your child received several W-2s, but did not have federal income tax withheld on all the W-2s (look at Box 2). They may not have had enough tax withheld and may owe income tax. Your student received a form 1099MISC and Box 7 Nonemployee compensation has an amount in it. Your son or daughter has been classified as an independent contractor and needs to file a tax return to pay self-employment tax and may owe income tax as well. Your son or daughter received investment income from interest and dividends. A child’s investment income may be taxed at the parent’s tax rate if the investment income is more than $1,900 and the child was a full-time student, under age 24 at the end of the tax year. Your student started a business and made a profit. He or she may need to pay income tax and self-employment tax. Visit MicroBusinessForTeens.com if your child has questions about starting or running a business. Your student started a business and lost money on it. He or she may wish to file a tax return to reduce their taxes in this year or future years. Your college student received a form 1099B from a broker, bank or mutual fund company because he or she sold stock or a mutual fund and had a gain on the sale. Your child should file a tax return and include the stock sale on Schedule D.
Your student sold stock or a mutual fund and had a loss on the sale. He or she may wish to file a tax return to reduce their taxes in this year or future years. Capital losses are limited to $3,000 a year and can be carried forward. Your son or daughter had earned income from a job or a business and wishes to open a Roth IRA. File a tax return to establish that your child had earned income even if tax is not owed. If any of these situations happen to you, read more about taxes for your college student at TeensAndTaxes.com. Then consult a local CPA to help your son or daughter file a tax return. Carol’s site, TeensAndTaxes.com has some helpful articles. She also offers an ebook and an audio to help clear the confusion about taxes for teenagers and college students. Ben Franklin once said the only certainties in life were death and taxes. 1. Vet websites claiming to be free e-file services – Do your homework before selecting a third-party site for filing your taxes. Read online reviews to find a reliable, trusted site that works best for your needs. Before you log on, double-check the site you’ve selected is listed on IRS.gov. 2. Evaluate mobile apps on your smartphone – If you plan to file a simple return or track the progress of your return via your mobile device, do you homework just as you would if filing on your personal computer. Ensure the app you select is from a trustworthy source, read the reviews and pay attention to its ratings before downloading. Also remember not just your tax time app can cause harm. Consider all third-party open source libraries, apps and components that may harbor bugs and malicious code on your smartphone to protect your personal information when you file and every day. 3. Use a trusted Wi-Fi or Ethernet connection – While you could file your taxes on your smartphone or laptop from the neighborhood coffee shop, the airport or even a fast food establishment, simply don’t. File from home, or the office, where you have a firewall in place and internet security installed on the network. 4. Update your computer’s anti-virus software – New online threats are discovered every day. The first line of defense against these attacks is an up-to-date anti-virus program on your computer or smartphone. While getting all your documentation in line, run an update on your system’s security software to ensure you’re fully protected, or download free protection from trusted sites such as AVG. 5. Don’t believe an email from the IRS – The IRS does not email individual taxpayers. If you get an email from the IRS, do not click on any links. Mark it as spam, and move on. You can go to IRS.gov to report the phishing scam or call the IRS at (800) 829-1040 if you suspect that you have received a fraudulent notice. But rest assured the IRS will not notify you that you’re being audited via email. 6. Email over fax – If you’re compiling taxes with your tax preparer or family members from multiple locations, think twice before faxing sensitive materials back and forth. Email is far more secure, especially if sent and received via a secure Wi-Fi or Ethernet connection and a computer with up-to-date antivirus software. Also ensure you don’t leave those files sitting on your email server to collect virtual dust. Delete and store them securely to protect yourself from future attacks, long after this year’s April 18 filing date. Today’s guest post is from AVG Technologies. A lot has been written about education benefits. Too many times we hear one piece of advice and latch onto that option as the best way to treat something for taxes. As with anything related to taxes it is INCREDIBLY confusing and has a lot of qualifiers to determine what is best. That is why almost no one tries this on paper and pencil forms anymore and so many more tax preparers get paid for this. But ultimately they are your taxes and you need to ask the right questions before signing the final form. Here are some thoughts on what to do with education expenses. 1st question – did I get paid for school? Many of us are paid to go to school – it’s called scholarships. It’s important to keep in mind that scholarships must be deducted from your education expenses (more on what those are below) before you consider any deduction or credit. The general rule: you can only use the expense in one place. Scholarships are not taxable to the extent that they were used for tuition and required fees. If they were greater than the tuition and fees or were specifically for living expenses, then they are income to the recipient. This alone can get confusing when looking at that 1098-T. But what if you being paid by work to go to school. Getting paid for going to school creates a couple of issues: is the payment ‘income’ and where to deduct the expense. How one answers the first influences options on the second. The first question is whether one’s job description requires that you get additional education. This is the criteria to determine if a payment from your employer was taxable income. The employer makes this determination. If it is required, then the income is not included on Form W-2. This is important, because if they paid and it is NOT on the W-2 as income, then you cannot take any deduction or credit for the amount that they paid (because, in effect, you didn’t pay for it – they did). This is more rare, though. Assuming you are not required to add to your education and the payment WAS included on the W-2, then you have several options for deducting it. Just remember that you can only select one of these options. Education Tax Credits. These are the things you’ve heard about and I won’t go into great detail. Credits directly reduce your tax as opposed to reducing your taxable income. The disadvantage is that the credits are limited by one’s income. The American Opportunity credit allows some deductions for books. The lifetime learning credit is limited to tuition and required fees. The tuition and fees deduction is another option. This is a ‘page 1′ reduction which reduces your AGI (adjusted gross income). The benefit here over itemized deductions is that AGI is used for other calculations in your return, so ‘page 1′ deductions are typically the best deductions. This also has income limitations and is limited to tuition and required fees, but many times this is a better option than the credits. The one most forgotten is the work deduction. This is claimed on Schedule A as a work related expense (also requiring Form 2106 or 2106-EZ). One advantage to the work deduction is that there is no income limitation as with others. Another advantage is that you can include other expenses over just tuition and fees (the amount from 1098-T). The disadvantage is that it goes under misc. expenses on Schedule A and is subject to a ‘floor’ or reduction of 2% of your AGI. “Work related” is something you and maybe your employer determine. If your employer pays for it, they likely want you to have it. You can also read the links below or the 2106 instructions for more information. Which one should you take? It depends. I don’t know of anyone not using a paid preparer or tax program, which makes it easy to try all 3 to see which is best for you. Always read the instructions to be sure you are including the right amounts. Remember that any deduction is limited to what YOU pay. As discussed above, if a scholarship or employer pays for it (and it is not on the W-2), then you didn’t pay. Also remember that paying with a student loan IS paid by you. And the interest you pay will be deductible on page 1 as well – but that’s more qualifications!